Caritas partners are struggling to reach Taiping, a remote township near the epicentre of Saturday’s deadly earthquake. 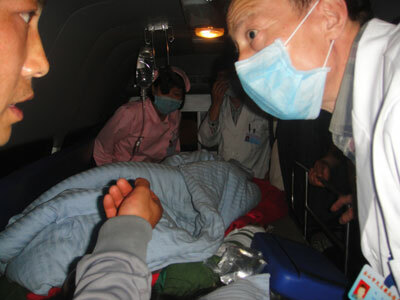 The earthquake of 6.6 magnitudes struck the province of Sichuan in Southwest China on 20 April, killing nearly 200 people, leaving thousands of people injured and causing significant damages. Staff members from a local Caritas partner organisation, Jinde Charities, flew immediately to the disaster zone where they have been able to provide some aid through church networks. Mary Wu of the relief team said they learned that the situation in Taiping is very serious so they took an ambulance from a church-run hospital there. But landslides caused by aftershocks prevented them reaching the town. More than 1,000 aftershocks have been reported after earthquake.The government stopped ngos from proceeding, fearing accidents. However, the Jinde team were able to take an injured soldier back for treatment.